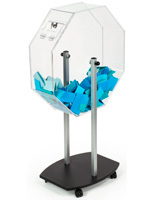 This Economy Raffle Drum Is One Of Our Most Popular Interactive Displays! 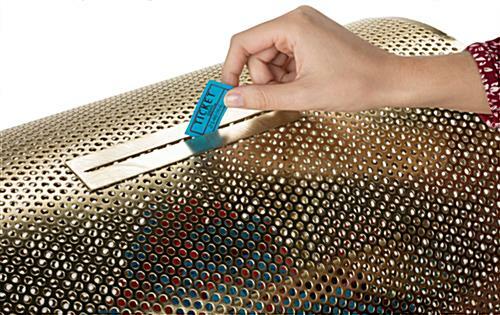 This Elegant Brass Unit Can Hold Up To 10,000 Tickets! 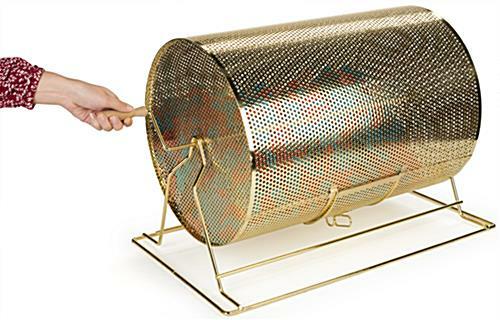 The Raffle Drum With Classic Appeal Is Affordable! 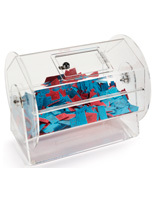 This Raffle Drum is a real traffic builder for tradeshows, customer door prizes and point-of-sale marketing activities. 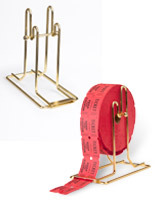 All of our deluxe brass spinners are designed for easy turning and random ticket mixing. 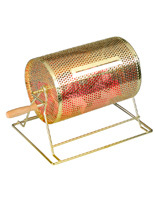 This large raffle drum is constructed from high quality wear-resistant plated steel, for thousands of spins. 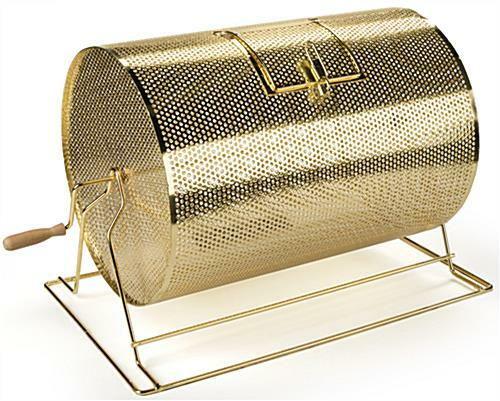 The brass plated unit including its sturdy base is 25"w x 16"d, and stands 18" high. 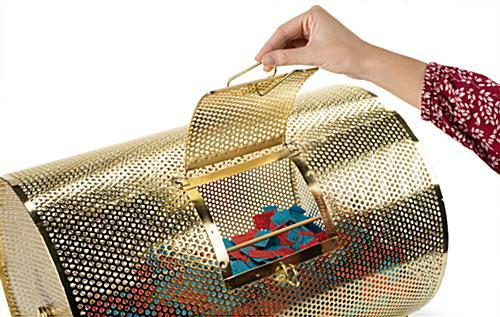 Each drawing box features a 5-3/4" wide drop slot and an easy-grip polished wooden turning handle and is more elegant than acrylic units. 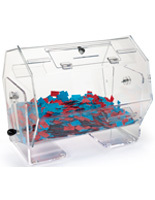 The 6"w x 6"d trap door is centered on the raffle ticket drum and is reliably secured with a durable latch for easily drawing a winner or loading a large volume of tickets. 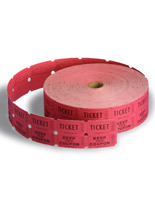 Buy now at this unbelievable low price. 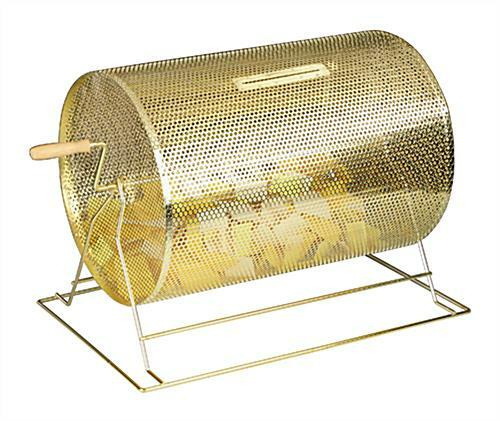 This fantastic raffle drum has a magnificent and elegant finish. 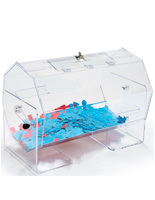 The deluxe drawing box is sure to accentuate your next event! 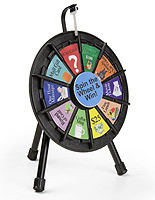 27.8" x 18.0" x 16.0"